Use a broad spectrum SPF of 30 or higher to protect not only against sunburn, but reduce the risk of skin cancer and premature skin aging caused by the sun. When enjoying the summer sun, safety is key. Janey’s is stocked with COOLA sunscreen that provide the protection you need to stay sun-safe while leaving out the chemicals you do not want on your skin or in the environment. Janey’s carries, both classic and mineral, with guaranteed broad-spectrum protection from both UVA and UVB rays! 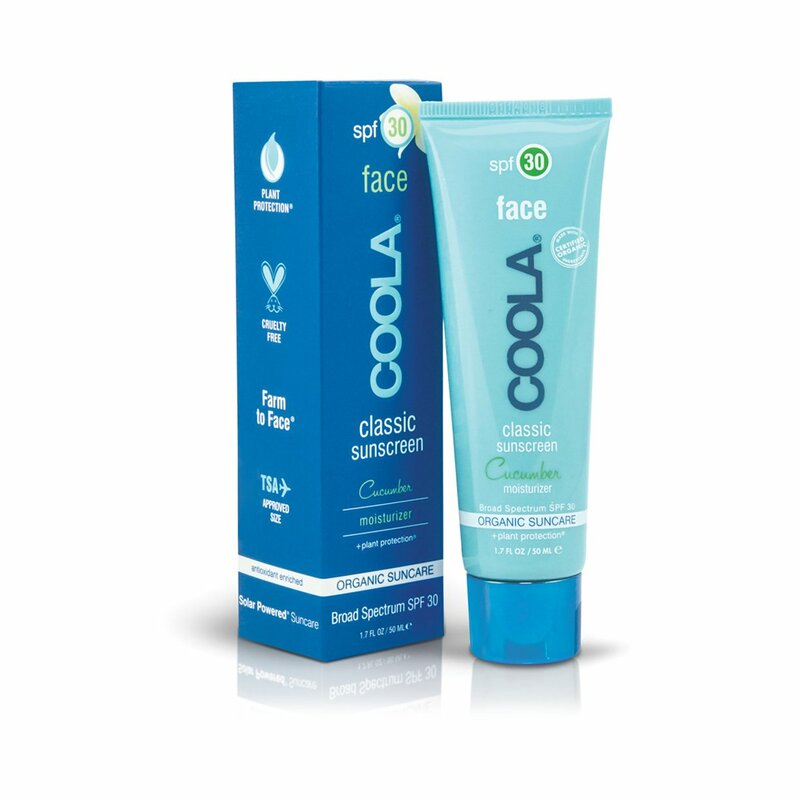 Protect and improve your skin with COOLA’s natural, organic, sustainable, and locally sourced sun-protection products. Whatever your sunscreen preference, we have you covered with COOLA lotions, sprays, and sunscreen sticks. You will love the ease of COOLA Eco-Lux Body Organic Sunscreen Spray. This luxurious sunscreen spray is water and sweat resistant and will leave your skin feeling nourished, not greasy. For the little ones that love the sun, make your baby a COOLA Baby and keep them safe with Mineral Baby SPF 50 Organic Sunscreen Lotions and Sticks. 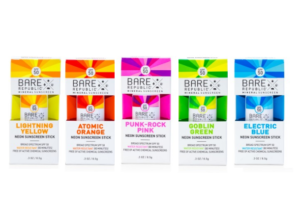 Free of chemical actives, synthetic fragrances, and parabens, Bare Republic sunscreen is not only reef-friendly but kid-friendly with Neon Sunscreen Sticks. 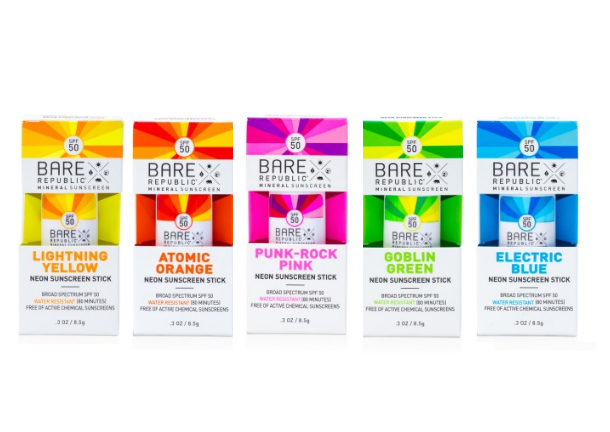 Sunscreen meets face paint with easy to apply sticks, and with choices from Electric Blue to Punk Rock Pink, your little one will be begging you to slather them in sunscreen before their next outdoor adventure. 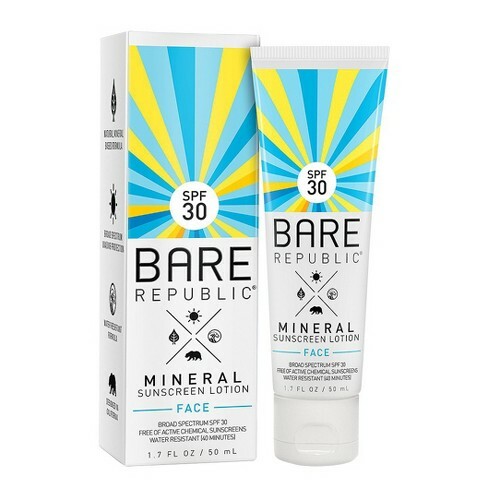 If you’re not in the mood for colorful sun protection, you can have lightweight, sheer coverage with Bare Republic Mineral Sunscreen Lotion in a natural coconut vanilla scent. 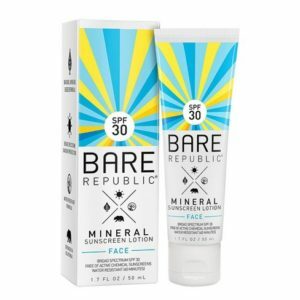 For quick and simple sun protection, we also carry Bare Republic Mineral Sunscreen Spray in a variety of natural scents, like Pina-Coco and Coco-Mango. Janey's is an Amarillo, TX boutique specializing in unique brands for women children and babies. Janey's offers personal stylist services, baby registry, free shipping & gift wrapping, and shopping straight from Instagram!